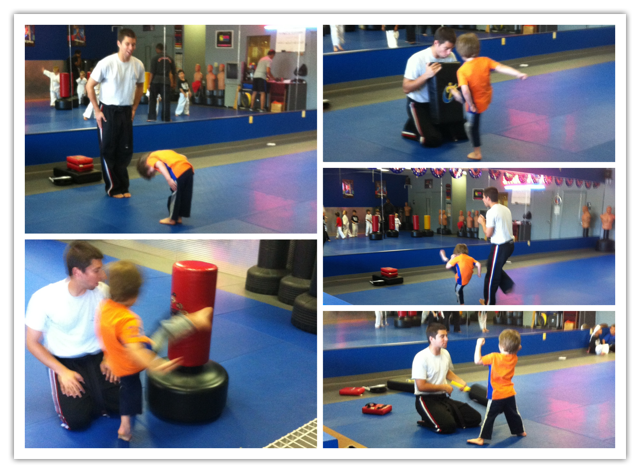 Friday afternoon was Adam’s first lesson at USA Karate. We received a free lesson after stopping by their booth at the Germantown Festival. 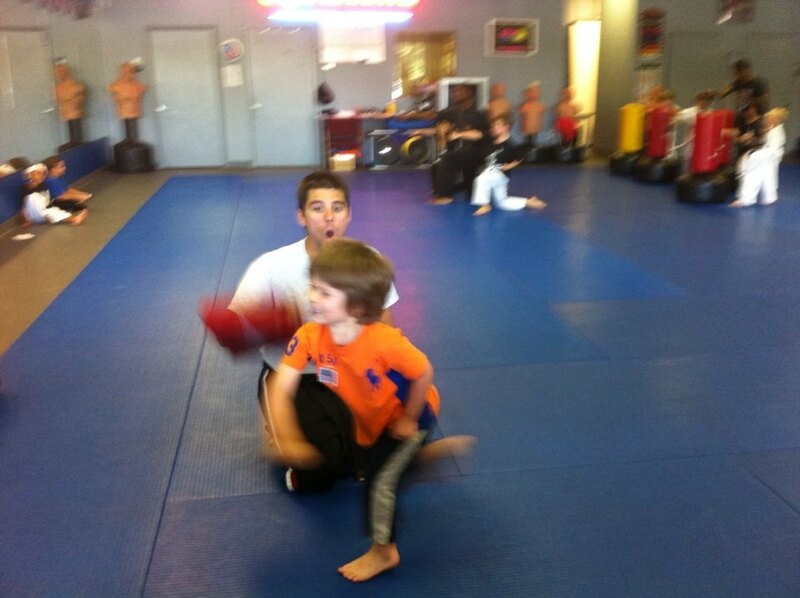 I’ve always wanted Adam to be involved with martial arts– his father insisted on Muay Thai [as that was his training]– but I had no clue the genre best suited to my son’s needs. Karate seemed to be a good launching point so we’ll go from there. Check out the brief video of his kicks on YouTube. Check out his awesome moves! My ‘Little Ninja’ loved his first lesson. Bapa, Maris, and I loved watching him. He can’t wait to return as a regular. So much so that he’s decided that karate comes before BMX or any league sport as his activity for the year. I hope that karate will work wonders for his discipline, focus, motor skills, confidence, behavior, and serve as a positive outlet for his energy. I promise to say “I CAN DO IT” and to eat healthy foods. I promise to do what I’m told with excitement and to always be good to others. We’re on a quest to be our BEST! The look on the instructor’s face is priceless. Note to self: Stop dyslexicizing ‘marital’ and ‘martial.’ Why do I do this 90% of the time? The first word depicts the relations and/or status between the dearly betrothed whereas the second serves as an umbrella term for karate, taekwondo, jiu jitsu, etc. I always tend to use them incorrectly at the most inopportune times. Oops. This entry was posted in Adam, Da Real Homiez, Germantown, Maris- my soul sister and tagged USA Karate. Bookmark the permalink.